The Colnago C64 is the result of 2 years of brilliant research and it all stemmed from its first alliteration in 1954. As with all the C series, the C64 still remains as one of the few frames still entirely handmade in Italy. The C64 has had some huge improvements done to not only reduce weight but also to improve the ride quality. Lug construction is similar to the C60 aside from the seat stays, seat tube and seat cluster which is now moulded into one single lug. Another subtle change made is in the Bottom Bracket Lug which has seen the external cable guide replaced with an integrated one, giving the bike a much cleaner look and feel. Due to its every unique design, the frame is now available in 14 different sizes and comes in primarily 2 different geometries with ‘Sloping’ being the most sought after. Performance has been improved with the Caliper versions only compatible with Direct Mount brakes. 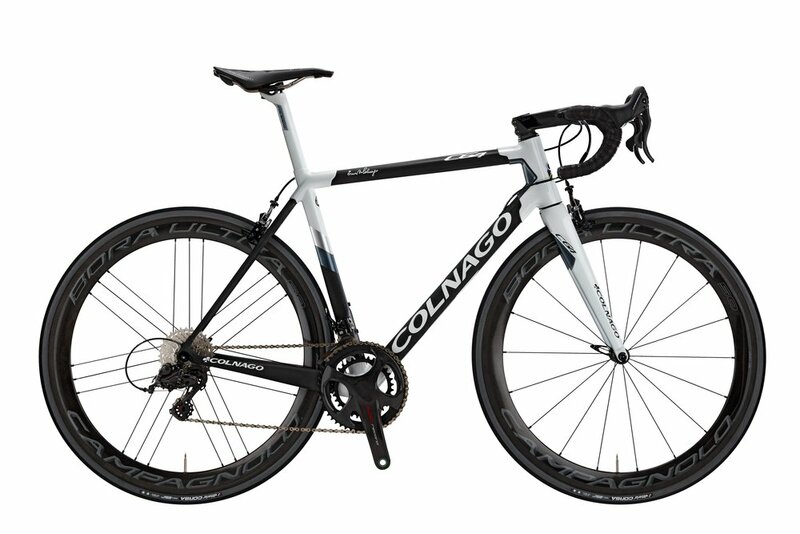 The engineers at Colnago have also lightened the new model by 205g making the acclaimed weight of the C64g frame at 900g. The all new carbon dropouts have also contributed to the reduced weight. Colnago has taken steps to ensure that the new bicycle will be up to date with the latest industry standards. Direct mount Caliper brakes and wider tyre clearances are just some of the modern touches that the company has incorporated. With Disc Brakes now becoming the go-to choice for the Professionals, it comes as no surprise that Colnago has also made the C64 in a Disc Specific version adhering to all the latest standards, Thru Axles and Flat Mount Disc Caliper Mounts.